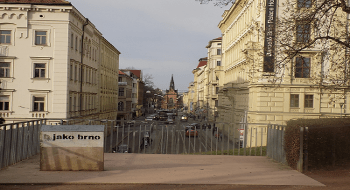 3 hours’ walking tour of Brno city centre will provide you a deep insight to the city history from its very first beginning until the present. You are going to hear legends and see many interesting places. Have you heard of the famous composer Leoš Janáček or the scientist Gregor Johann Mendel? Well, these and other important personalities have a tight connection with Brno and you are going to learn about them too. At the end of the tour we will visit the most famous Brno monument inscibed in the UNESCO- the functionalist Vila Tugendhat. The list of places we will visit on this tour– Špilberk castle, Denise gardens, St Peter and Paul cathedral, Zelní trh market place, the Capuchin square, Bishop`s courtyard, the Old Town Hall, the Dominican square, the Freedom square, Mahen Theatre, St James church, the Moravian square, Janáček Theatre, Vila Tugendhat garden.